… because sometimes I do cycle for exercise. 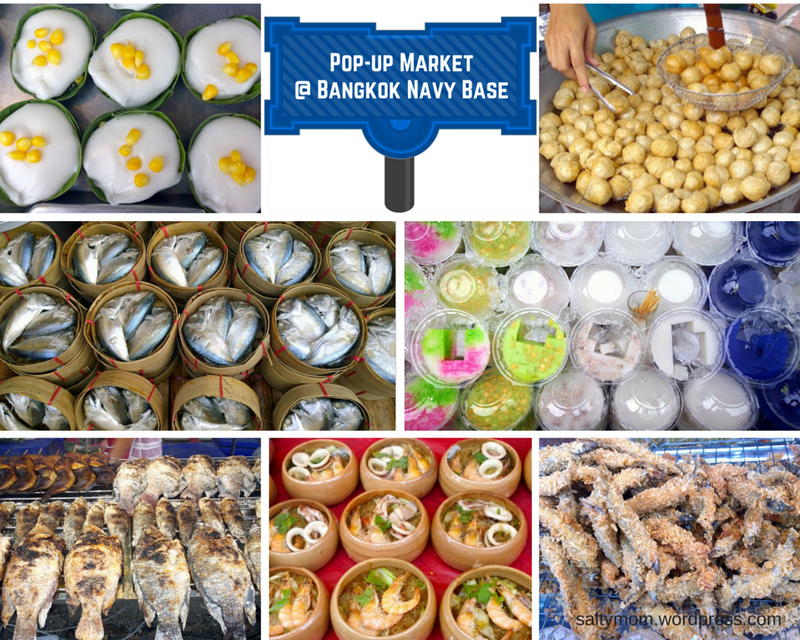 With Bangkok being ranked the No.1 city for street food, i felt that it is my social responsibility to test them out to see if they live up to their name. I do multiple re-tests to check on quality. I take my self-assigned, unsponsored job seriously. But what am i writing about ? Exercise !! I see food and I can’t help myself. Starting with the Bangkok Navy Base ( ฐานทัพเรือกรุงเทพ ) on Issaraphap Road. It’s spacious and uncluttered. No worries that some kid will pop out from behind a tree and send you flying off your bike. One round around the navy base is about 1.4 km. If you are there at 6 pm, you get to see the soldiers ( sailors ?? ) march after they lower the flag. Thing is you don’t have to bring your bike. They have bicycles for rent ( LA bikes with gear and housewife bikes ). You can find the bicycles at the golf driving range ( which closes at 8 PM ). They are free now till August 12th. 20 baht an hour ! Next up is good old Sanam Luang. This oval field of grass is much visited by cyclists during night time. One lap is about the same distance as the navy base but without the twists and turns. There’s a barrier to slow down cyclist at the Thammasart entrance. Try not to bike in the skateboarding area. Sometimes the park is used for Buddhist ceremonies and fairs, so check event calendars before going. 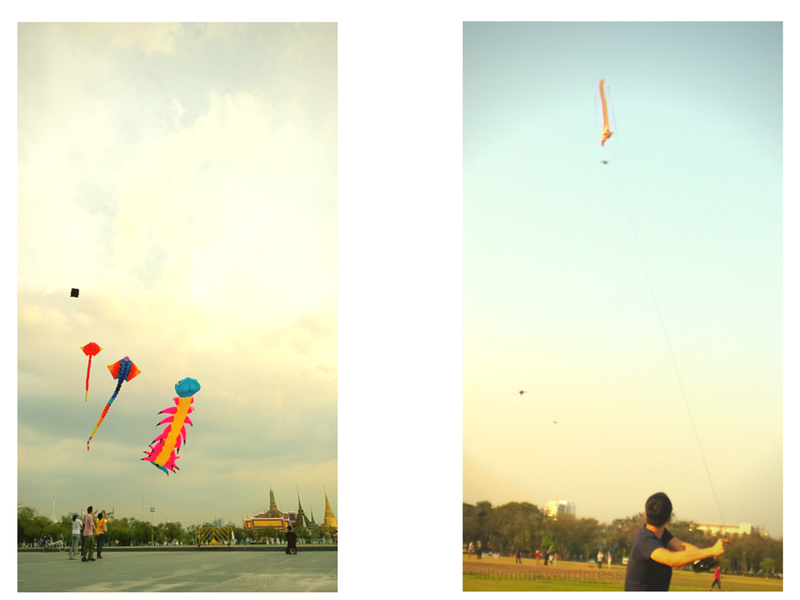 I used to never thought of going to Sanam Luang. It’s just a field of grass encircled by two rows of trees. What do I do there ? Sit under a tree ? Now I realise that this park just provides space. 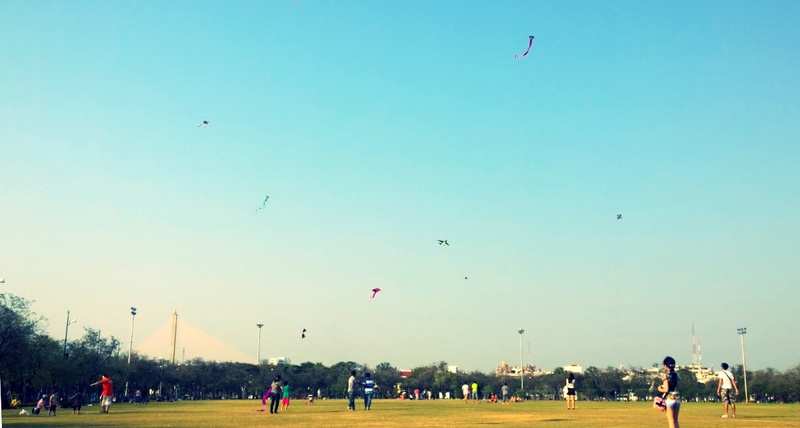 The people who go there along with their recreational activities is what makes the park interesting. the deadly combo – Cobra, Stingray, and Centipede – and the guy with the dragon kite. So cool ! 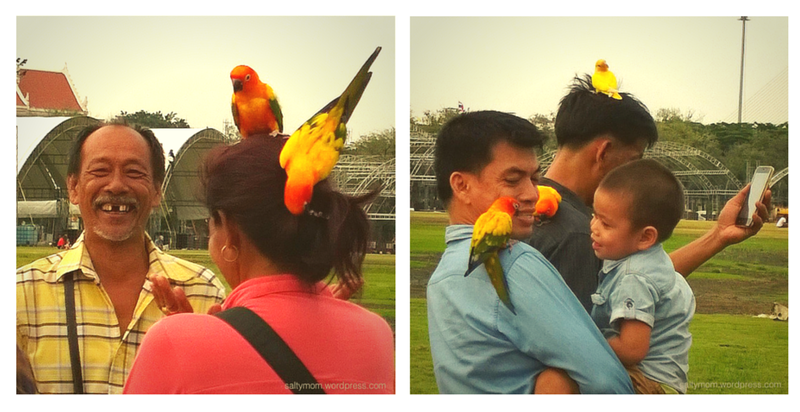 On weekend evenings, a group of parrot-lovers will meet up and let their birds out of the cage. 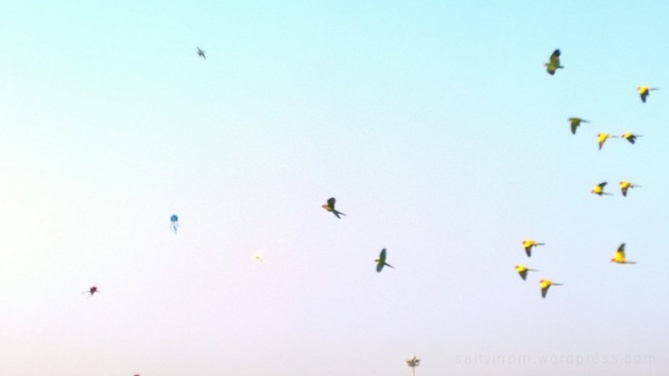 The parrots and parakeets will flock together and fly around the park. The happiness level is very high when the bird people are present. 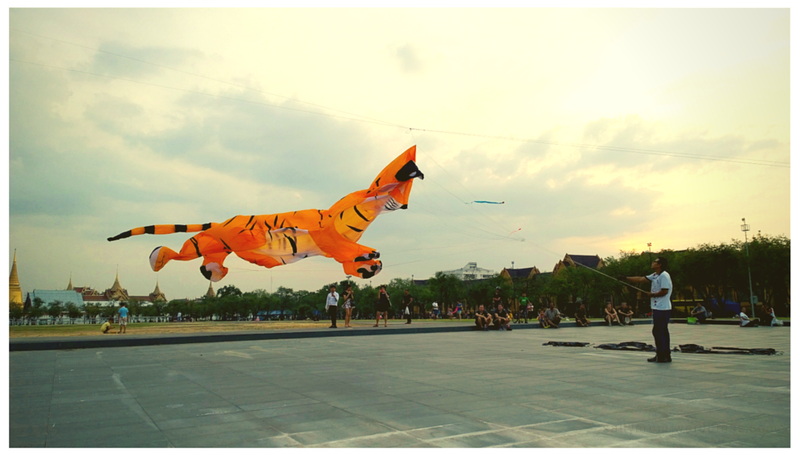 One more place is area from the King Rama 5 Monument to the Dust zoo. The roads are closed to traffic in the late evenings. One round from the monument to the zoo and back is about 2 km. It’s quiet and safe there with the Ananta Samakhom Throne Hall as a backdrop.